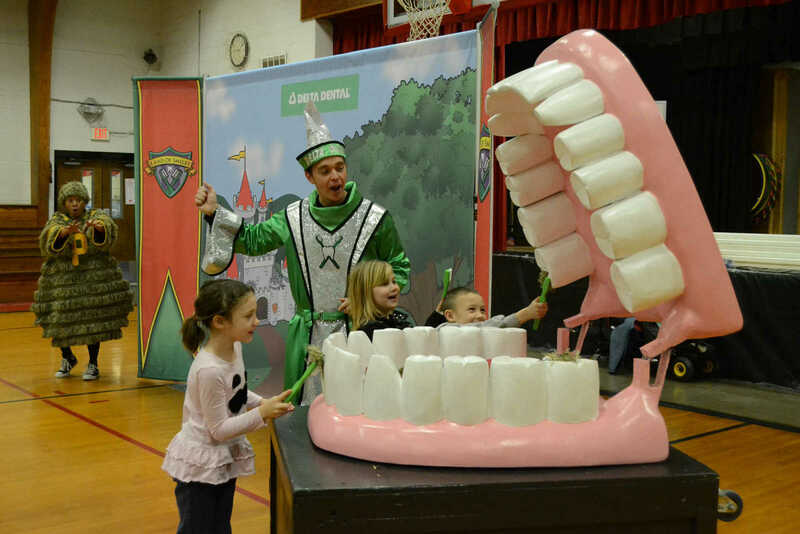 Three Sheldon elementary students brush off plaque during the Delta Dental program Tuesday. 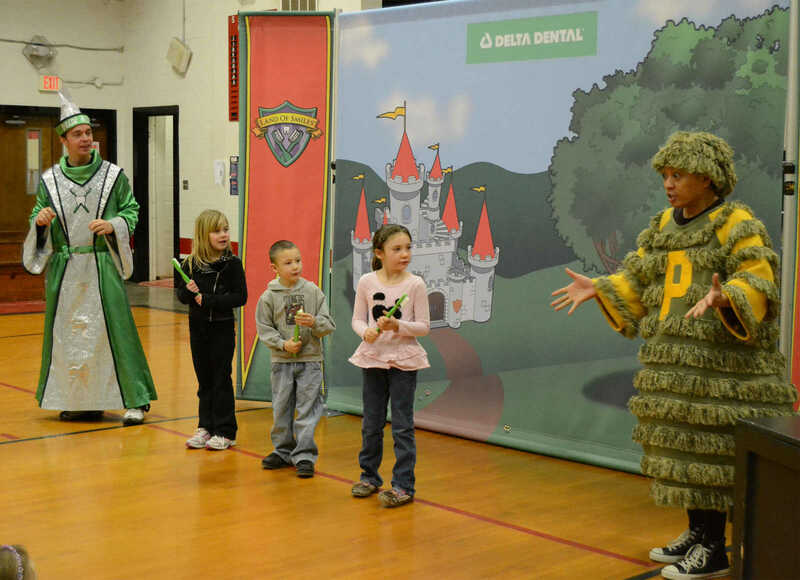 The tooth wizard, three Sheldon elementary student volunteers and plaque man act out a skit in the Delta Dental program Tuesday. 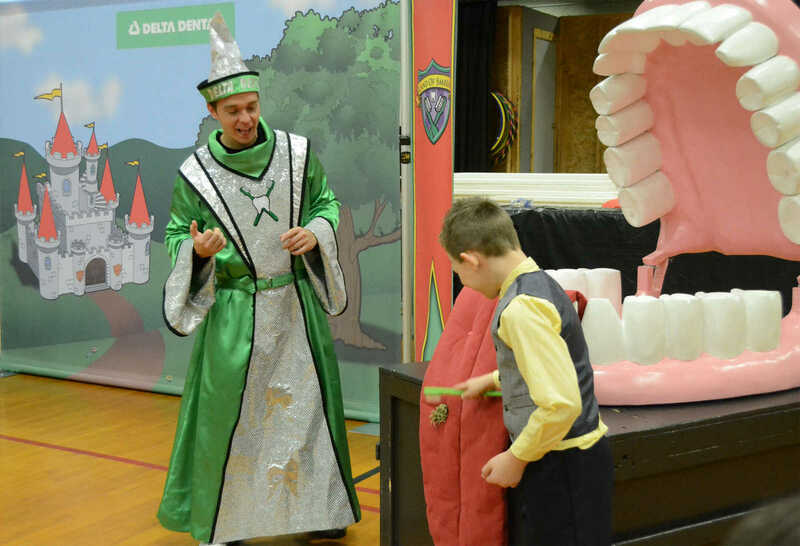 A Sheldon elementary student brushes the tongue during the Delta Dental program Tuesday. 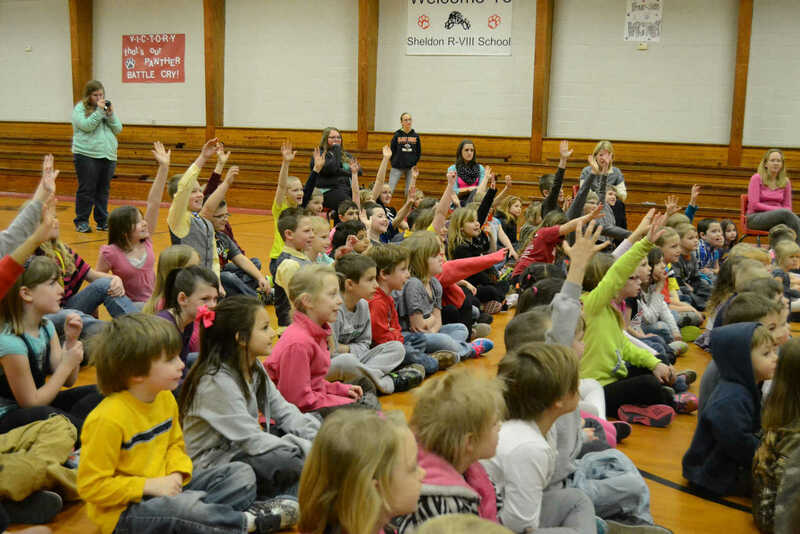 Sheldon elementary students volunteer to participate during the Delta Dental program Tuesday. 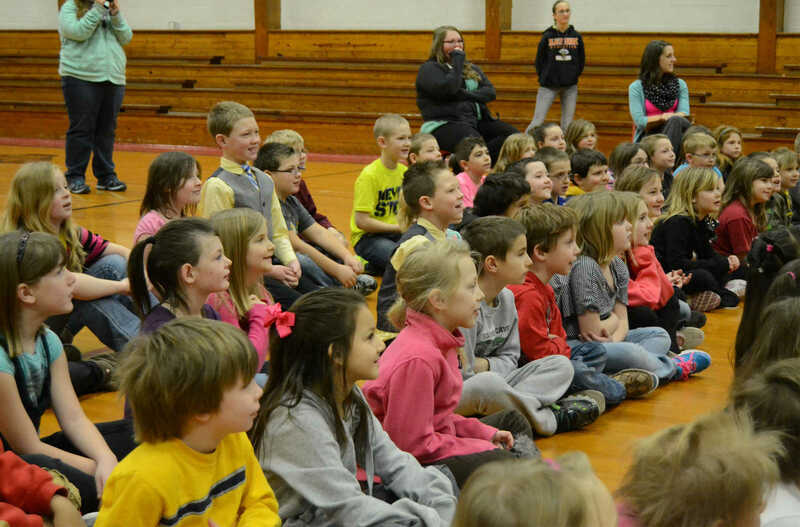 Sheldon elementary students enthusiastically watch the Delta Dental program Tuesday.